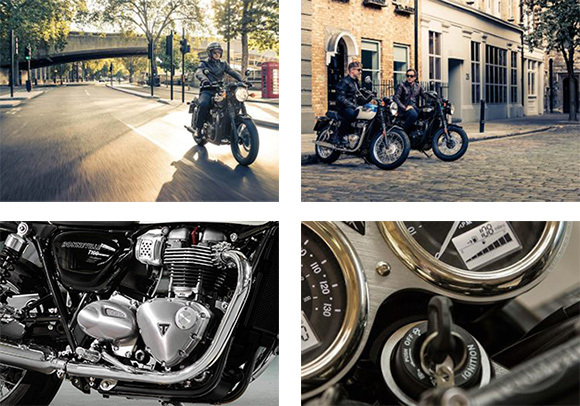 The Triumph is one of the best brands when it comes to quality and agility. 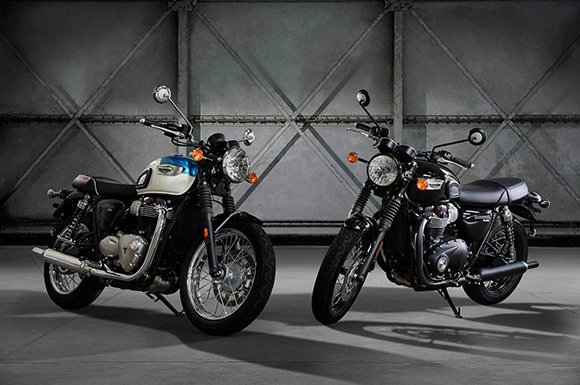 This year Triumph has launched its new Triumph 2018 Bonneville T100 Modern Classic Family containing two amazing bikes i.e. 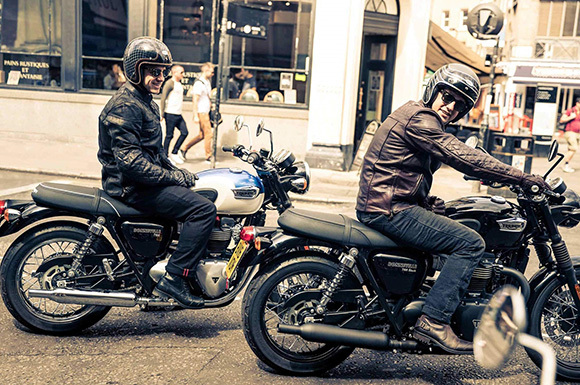 Bonneville T100 and T100 Black. Both of these bikes are enriched with signature touches and awesome bodywork. 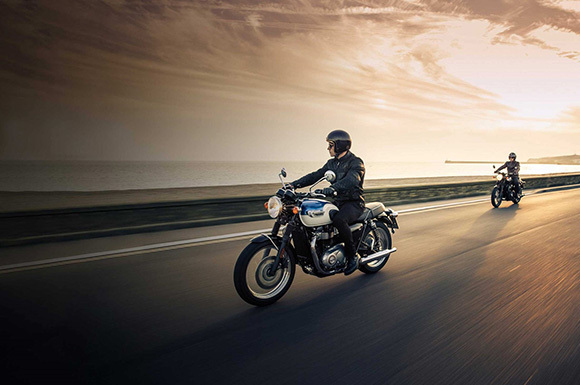 The quality, performance, capability, and comfort was the priority behind the new Triumph Bonneville Family. Both of these bikes feature an impressively stylish body with the superb color combination. This family is inspired by an iconic 59 Bonneville, the T100 models have their own awesome characters that incorporate into the original Bonneville DNA. The stunning finishing and impressive detailing makes its overall look more amazing. This modern classic contains the 900 ccs high-torque Bonneville engine that has the ability to provide greater torque with superb fuel economy and rich deep exhaust note. The new chassis and suspension work together to ensure the smooth ride with an impressive handling and sensitive incorporation of rider focused technology. The ABS comes as standard with traction control and torque assist clutch to provide an extra level of comfort and control. The T100 range is available in beautiful chassis and stylish color combination and they have around 150 accessories available to customize this family. The review of the new Triumph 2018 Bonneville T100 Modern Classic Family with price and pictures are given below. The new Triumph 2018 Bonneville T100 Modern Classic Family features the powerful 900 ccs high-torque engine that has the ability to provide amazing performance. Its amazing feature is that it is enhanced in fuel economy and is rich in deep exhaust note. The use of new 8-valve single overhead camshaft parallel-twin with the 270-degree of firing interval provides smooth and linear power delivery directly from its impressive five-speed gearbox. This 900cc engine has been especially to deliver more torque and power between 2,750 rpm and 4,750 rpm. This engine always ensures to have the thrilling and engaging ride like in 2018 Triumph Street Cup. The T100 has the ability to deliver 22% more power in the mid-range and 18 % more peak torque with 80 Nm at 3,200 rpm than the previous generation. The new Triumph 2018 Bonneville T100 Modern Classic Family comes with an amazing style and high level of finishing of all times. It includes signature styling cues from original 59 Bonneville engine silhouette while incorporating contemporary components. An elegant peashooter style exhaust provides the deep rich note of this true British Classic. The new Triumph 2018 Bonneville T100 Modern Classic Family is truly a heritage and an iconic bike features impressive fuel tank, wire-spoked wheels, impressive silencer and two-tone paint options with the hand-painted gold coach lines. The T100 lines are refined, crafted and sharp with classic and sophisticated looks. Those riders who want to customize these models have 150 accessories available. 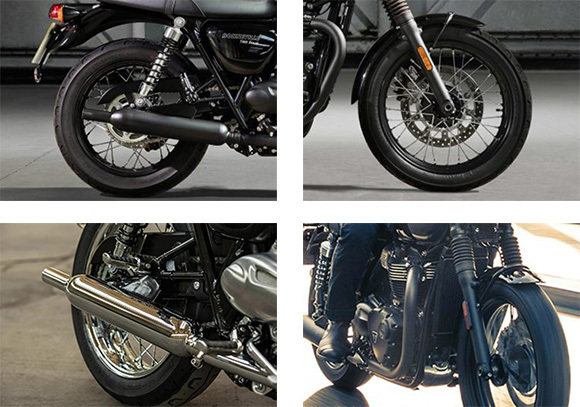 The Bonneville T100 comes with the wide quality brushed, chromed and polished finishing that contains high-valve of brushed aluminum engine covers and the classic bolt-on Triumph badges. The T100 is available in three classic color combination. 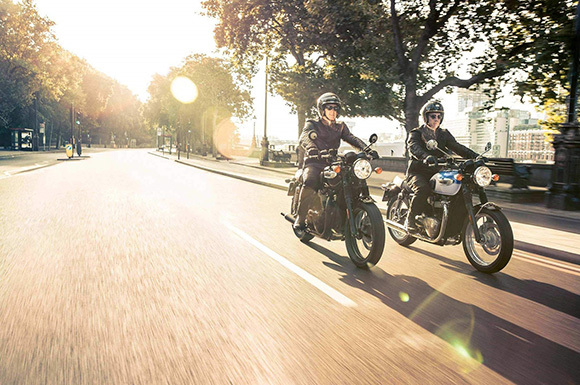 The new Triumph 2018 Bonneville T100 Modern Classic Family ensure to have the significantly enhanced level of comfort and handling. The comfort of the seat is achieved through the thicker foam that comes as standard and the chassis and suspension incorporate the greater suspension travel. All of them have been developed specifically for an engaging yet easy-going ride for improved long-distance use and pillion passenger capability. The new Bonneville T100 Family consist up of one of the most accessible model options that weigh less than the 2017 Bonneville T120 Family. It features the shorter wheelbase, trail, and rack that the previous 2017 Bonneville T100 Family. These shorter rack and trial combine with the low seat height provides an amazing riding experience of all times. The use of latest single floating front brake disc ensures better-stopping force. The new Pirelli Phantom Sportscomp tires that have been recently developed by Pirelli by this family. The stiff front and deeper tread on the rear provide better handling and supreme durability. The new Triumph 2018 Bonneville T100 Modern Classic Family is available with the price of $10,400 only. Instrument Display and Functions LCD multi-functional instrument pack with an analogue tachometer, analogue speedometer, odometer, fuel gauge, gear position indicator, clock, range to empty indication, traction control status display, service indicator, 2x trip, average & current fuel consumption display, throttle mode status display, heated grip status (accessory) and new cruise control ready – controlled by a handlebar mounted scroll button (accessory). This article is about the review of newly launched Triumph 2018 Bonneville T100 Modern Classic Family and is covered under www.bikescatalog.com. This family contains the powerful engine that has the ability to provide powerful torque and acceleration. The overall chassis design is kept classic with amazing finishing. The overall design is been dominated with the fuel tank and amazing style. 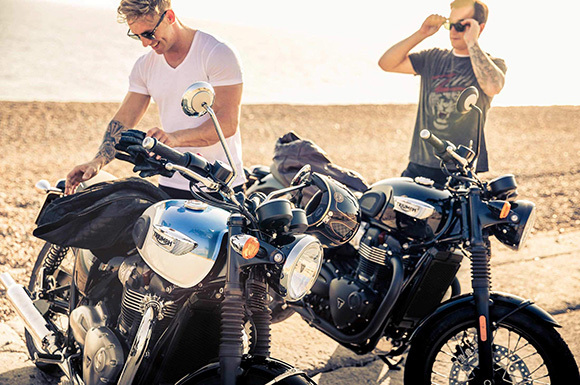 Those riders who want classic bikes packed with the latest technology should think about the Triumph 2018 Bonneville T100 Modern Classic Family and share their riding experience here.